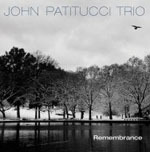 Patitucci has been a leader for more than thirty years and in the company of jazz luminaries such as Wayne Shorter, Chick Corea and Roy Haynes. Patitucci has played with artists across all genres from B.B. King to Queen Latifah. Brazilian native and percussionist Rogério Boccato has worked with many top names in jazz including Maria Schneider on The Thompson Fields (Artist Share, 2015), Fred Hersch and Ben Allison, and he has deep roots in the music of his country. On that front, he has collaborated with artists such as Toninho Horta, Moacir Santos, and Vinicius Cantuária, among others. Guitarist Yotam Silberstein, a finalist in the Thelonious Monk International Jazz Guitar Competition in 2005, played the Umbria Jazz Festival at the age of twenty-one. He has worked in partnerships with James Moody, David Sanborn, Marcus Miller, Paquito D'rivera, Christian McBride and many others. It is unlikely that a Brazillian mixed compilation would exclude Antonio Carlos Jobim or Milton Nascimento, and Irmãos de Fé is no exception. But the works of the two native composers have been touched upon so often that they require a refined approach to avoid bromidic repetition and Patitucci's trio is more than up to the task. 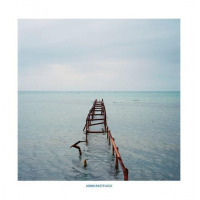 The title tracka Nascimento compositionopens Side A of the album in a thoughtful and respectful manner. Silberstein's great guitar work on the piece reflects his affinity for the music he honored on his own Brazil (JLP, 2011). Patitucci equals the guitarist's clarity and dexterity with his bass, taking leads and offering support. Another Nascimento piece follows, the more animated "Catavento," followed by a subdued Egberto Gismonti composition "Pr'um Samba." Patitucci's bowed bass lends a somber melody to Jobim's "Olha Maria," accompanying Silberstein's broken chords but a more mainstream jazz sensibility is applied to "Samba do Grande Amor." 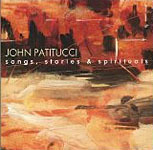 Patitucci exhibits the perfect blend of respect for the original intention of these compositions, and the adventurous spirit that allows the trio to put a unique stamp on these works. 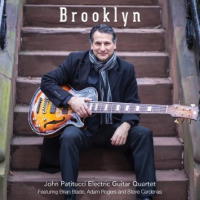 Patitucci and Silberstein employ acoustic and electric strings to vary the atmosphere and Boccato's proficiency with Brazilian music makes him a perfect choice in subtly knitting the moving parts together. Irmãos de Fé presents an eclectic program, maintaining a strong connection to regional composers while adding a new aural richness to the pieces. Track Listing: Side A: Irmao De Fe; Catavento; Pr’um Samba; Desvairada; Olha Maria. Side B: Samba do Grande Amor; As Vitrines; Nilopolitano; Sinha. 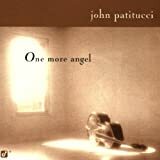 Personnel: John Patitucci: acoustic bass, electric bass; Yotam Silberstein: acoustic guitar, electric guitars; Rogerio Boccato: drums, percussion.